The Social Investment Business has won the contract to run a £10m government grant fund to help voluntary organisations get ready to take on social investment. The Investment and Contract Readiness Fund, which is being run on behalf of the Office for Civil Society, will support organisations with the potential to grow quickly and deliver high social impact. It will fund activities such as business planning, impact measurement and financial management and will open in April. It will also support organisations to improve their senior management teams and to identify support services that will improve their skills. The voluntary organisation and the support body will then be able to submit a joint bid for funding. The fund will be led by an investors panel of social lenders, including the Big Lottery Fund, Deutsche Bank and the Esmée Fairbairn Foundation. 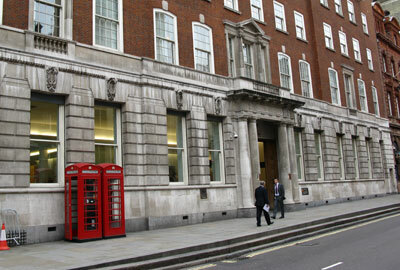 The group will be chaired by Big Society Capital. The panel will design the programme and select the social ventures that will receive grants. The SIB said in a statement that it was interested in receiving registrations of interest in the fund from organisations that want support, potential support agencies and investors who want to put money into social finance. Nick Hurd MP, the Minister for Civil Society, said: "The fund will create a step change in the number and scale of social ventures that are investable and able to compete for public sector contracts on a level playing field, and thus bring social impact at a really significant level."